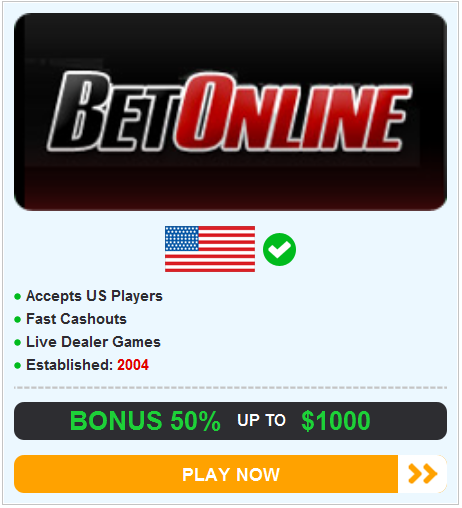 The gambling laws in the United States make any form of online gambling difficult for US citizens. It is still possible to gamble, but the sites are harder to come by and a trustworthy one is even harder than that. They are out there though, but the main gripe that many US players have is that they can’t take advantage of the bigger, better and more trustworthy online casinos out there, namely the ones established in Europe, Australia and in Asia. In these countries gambling is not only widely accepted, but it is encouraged. Gambling is a part of life, so the biggest companies involved in the sporting world often have their own casinos or sports books, and the biggest bookmakers all have their own casinos and card tables. This list looks at the best ones available, with an emphasis on the game of blackjack, but also looking at what else is available. William Hill: The is one of the oldest bookmakers in the world, and these days they have expanded online and into the casino business. They have one of the bets and most simple games of blackjack around, allowing you to play up to five hands at a time and also giving you the option of two bonus bets: 21 + 3 (which turns yours and the dealer’s hands into a little game of 3 Card Poker) and Perfect Pairs, which pays out if you land a pair with your first two cards. You can also split, double and insure. SkyBet: It goes without saying that SkyBet has some of the best bonuses and customer service around, and you’ll struggle to find better. As such a highly respected and incredibly rich company they can afford to be generous in these areas. Their software is also very good and they have a great game of European Blackjack, with some other variants also on offer. You’ll not receive any loyalty points for extended play, but you can take advantage of matched deposits and other bonuses paid out when you join and make your first deposit. GalaCasino: This is a big casino website, but not one without its problems. The blackjack here is good, as are the other games, but the software itself is rather clunky and reminiscent of the old days of spam advertising, when you were bombarded by popups and needless information. The deposit bonuses are good though and it’s worth checking out. 32Red: This is an online casino that has everything you could want. As with GalaCasino, there are some issues with the software itself, and this one is even more annoying than the previous one, but the customer service is amazing and the bonuses are great as well. To test out their services we deposited just £10, and because we did so through Paypal and not through a credit or debit card, we basically voided the free bets. Still, one quick call to customer service and not only did they give us a £10 free bet, but they also credited us with another £32 free bet when that was gone. That sort of care is very hard to find and makes 32Red an easy inclusion for this list. 888: This is a tricky one. It has many plus points, but it also lets itself down time and time again. Firstly, the bonuses here are fantastic, and that applies to the casino, the slot machines and the sports books. You’ll get a constant stream of free bets providing that you continue to play. The downsides are poor and slow customer service, software that is often slow and a website that only runs on half of the browsers out there (we tested it on Firefox, Internet Explorer, Chrome and Safari, and it only worked on the first two). Another thing that we considered a negative, but many would consider a plus, is that the games (blackjack, roulette, craps) are live. This means that you watch and interact with a real dealer. This is good in principle, but it makes for a slow and often tedious game as you wait for other players to move. There can also be extended waiting times, which turns a ten minutes game into an hour’s game as you wait for a seat. PaddyPower: Paddy Power are quickly becoming one of the best sports books and gambling destinations on the web. They know what they’re doing and know how to please their customers, both new ones and loyal ones. There are plenty of bonuses, hundreds of games and the choice of blackjack games is also diverse. These are just a few of our best picks, but there are many out there. If you stick with an established brand then you should be okay, but that isn’t always the case. For instance, BetFred, although very popular and very well known, were caught up in a scandal with their casino software not so long ago. A game they promised to be fair was actually far from it, and although they closed this down and went with some new software providers, it is clear that they don’t monitor their developers enough, so they should be avoided. BetFair are also very dodgy. There have been countless issues against them, mainly stemming from horrible customer support. Their games are good though and so is their system, so providing that you don’t need to get in touch with them for any reason, and providing that you don’t encounter any problems, then you’ll be okay.